The School Run the Frazzled Way! So today was Olivia’s first day back at school. And in true frazzled mum style I was completely and utterly disorganised. But…… I pulled it off. Olivia made it to school in complete uniform, pretty hair *pats self on the back* with school bag, pencil case, lunchbox and pe kit in tow. Success indeed, but being this effectively disorganised take effort, practise (sometimes a really early morning) and a teeny tiny bit of utter chaos thrown in for good measure, I tend to perform better under pressure, with coffee lots and lots of coffee! So let me tell you how school runs go in this house. By the way this morning was achieved by me dragging myself out of bed at 6am to clean the house and finally take uniform out of the carrier bags (seriously) and organise various bags and her packed lunch. Set your alarm early enough to give yourself plenty of time to get ready Get out of bed!!!!!!! Have everything organised the night before Have a vague idea of where things are so you know where to run in a blind panic having over slept. Plan a nice healthy breakfast for the school day ahead Cereal/sugar loaded bars from your emergency supply for ‘just in case’ and a chocolate bar (for me) and force feed a piece of fruit to ease the bad mum conscience. Keep the TV off and tablets/laptops/computers too Use mentioned items as bargaining tools. ’10 mins of TV if you have brushed your teeth’ or my favourite ‘the quicker you get ready the longer you will have to play’ works like a charm! Don’t stress it will all be over before 9am Shout and scream, flap and panic, stress and stress then cry with relief that you made it out of the house alive somewhat resembling ready (ish) and just about on time. Although this is a tried and tested method, very well tested, I do not recommend you use to negotiate your school run mornings as I cannot be held responsible for any tears/tantrums/lateness etc that arise from you following my way. My mornings are much better now I avoid the school run altogether and the boys walk, scoot or bike! hahaha! Well done you! 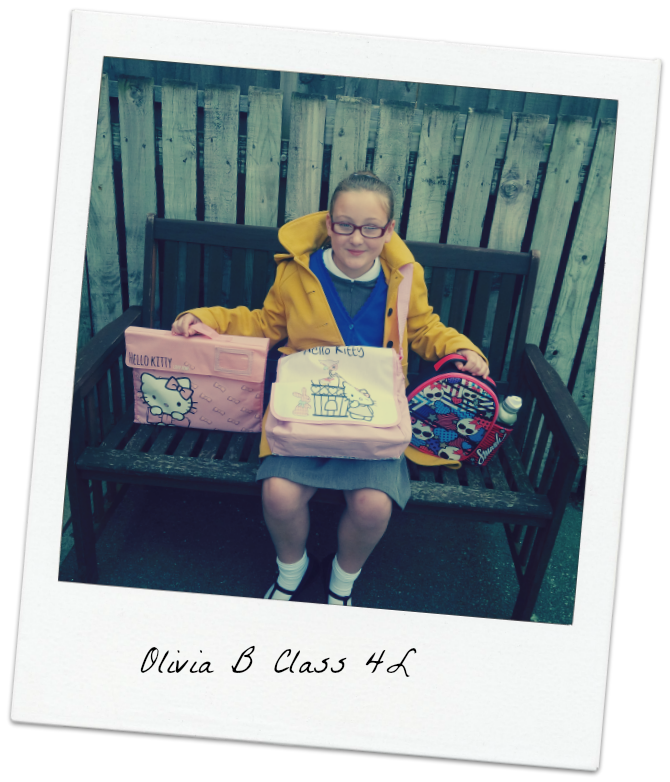 Olivia looks very ready for school….So smart!